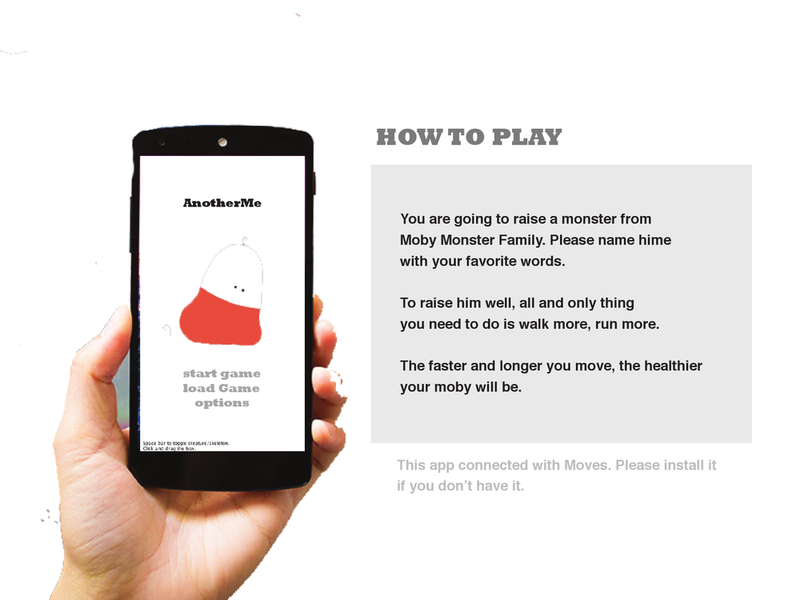 Your walking step data turns into a game asset, which is required to keep playing the game. The more you walk, The longer you can play the game. As a result, you would be healthier while playing game. This was my thesis project at NYU ITP 2014 and Here is the live streamed video of my thesis presentation(12min) and a collaboration with Jaewoong Hwang(in-game play-development) and Woonyung Choi(illustrator). 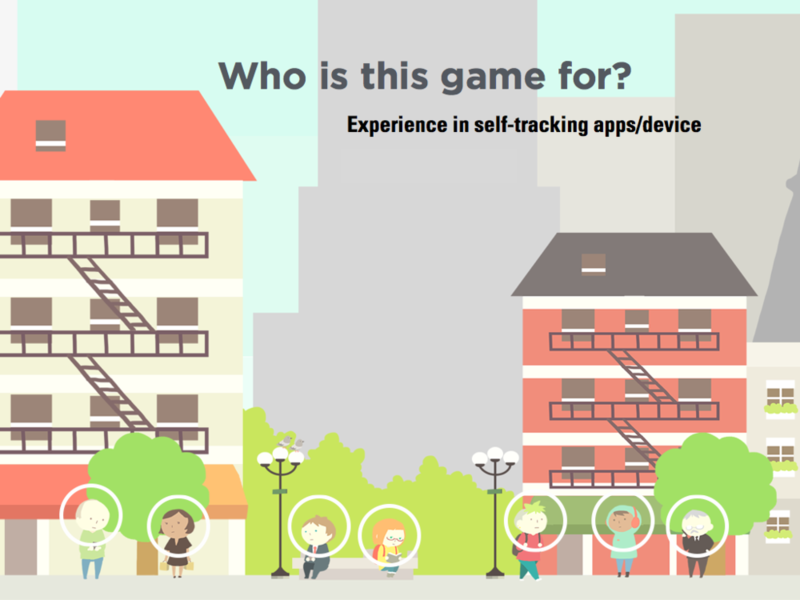 Playing walking to the moon is not like using fitness trackers/apps to acheive a daily goal. In this game,the desire of winning the game will drive you walk more. Your walking experience is becoming a part of the gameplay. when you walk on the street to get more steps count, you earn your game hero's stamina to play the game, just like grinding in massive multiplayer online role-playing games. Only difference here is that grinding is happening in real life. 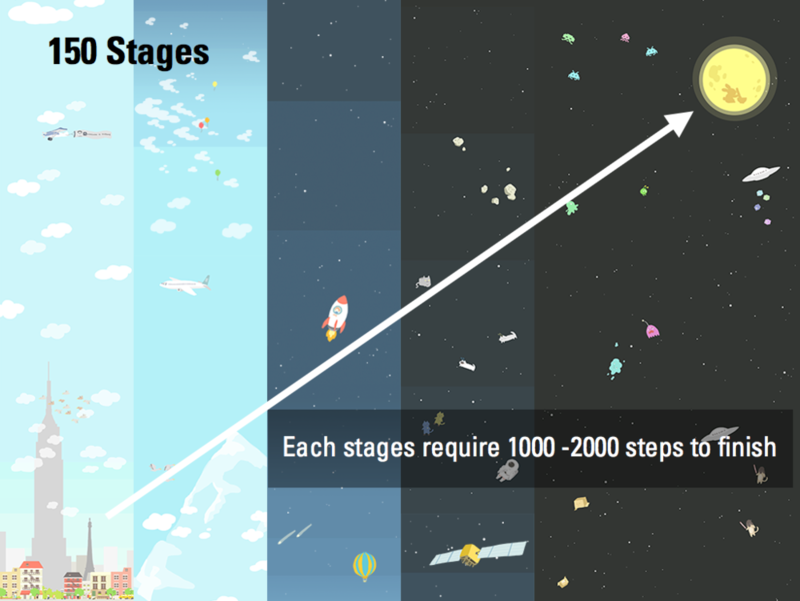 Each stages require player to have at least 500 steps to complete. 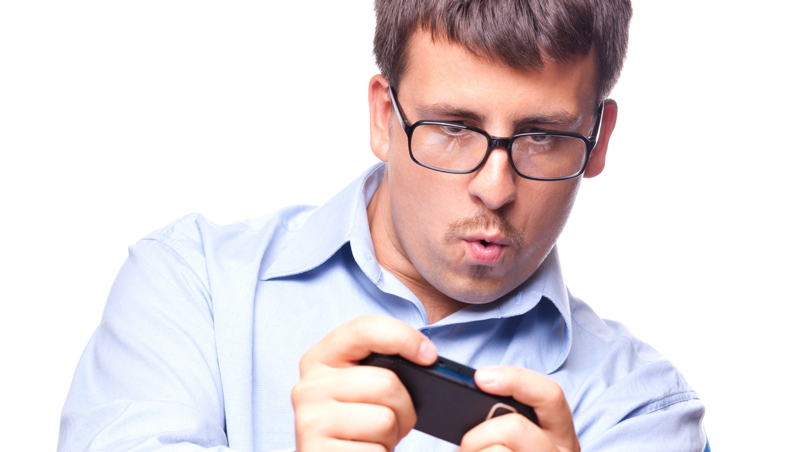 While you play the game, the game character consumes his stamina. (stamina = number of step counts you walked). To win this game, you also need to destory enemies in various ways otherwise they will interrupt you to waste more stamina. In this game, the more you walk in real life, the more you can play the game. Unlike other free to play game, you don't have to wait to play again, but walk outside. Walking to the Moon is connected to an application called Moves, activity tracker. When you walk with a smartphone, Moves tracks how many steps you take in a day. Walking to the Moon communicates with Moves API to collect steps count, and convert into game stamina for game character to play the game. 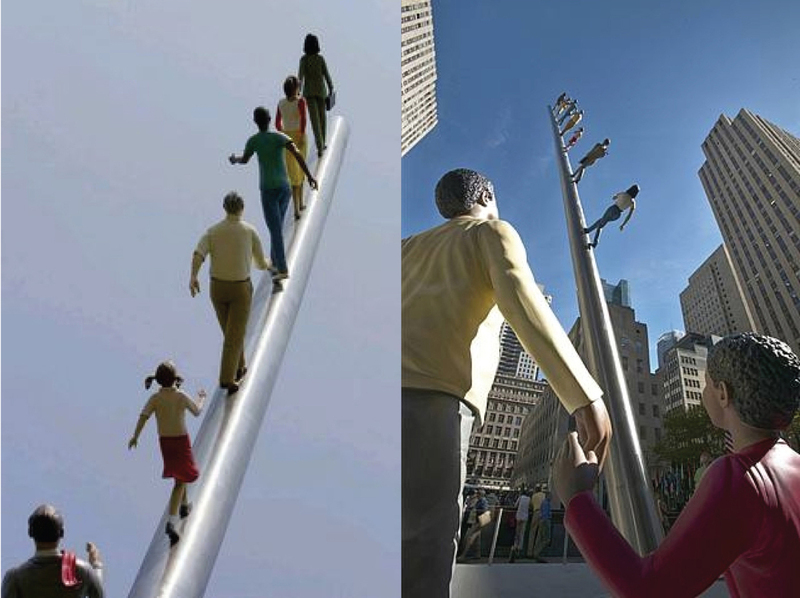 We all know for a fact that we would be healthier if we walk more. However, the fact doesn’t motivate us. In this game,it stimulates its players’ desire to win the game.There are two things player can do. One is being an awesome game player. Another is to walk more to get more stamina. In this game, challenges to achieve are made explicit and are designed to increase the difficulty. The more you are engaged in the game play, the more you need to walk. While you are immersed into the game,you might need to step outside of home to earn more steps to keep playing. Behavior change will be rewarded with game items. For instance, if players break the personal record of steps, they will receive a rocket that accelerate hero’s walking speed twice faster for 5 seconds. Different game items will be given to players to benefit their various behavior changes. And these items will aid you to finish the game faster. At some point, numbers doesn't motivate you. How to make people keep motivated? Are there any game that gamifies exercise? Instead of waiting or paying money, can we use fitness data? What if we can walk to the moon?